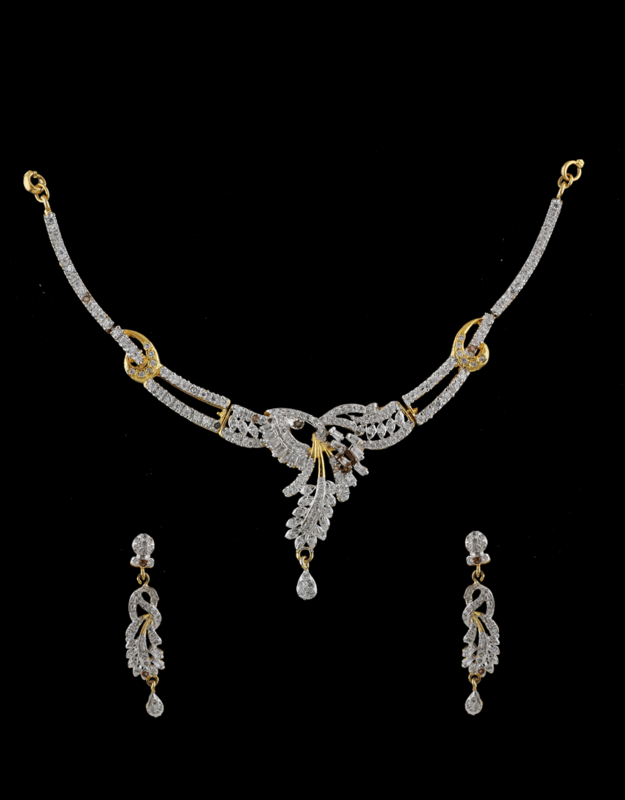 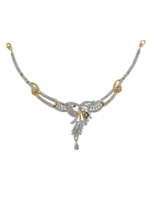 Truly attractive and beautiful, this golden-white colored necklace set by Anuradha Art Jewellery will be a worthy addition to your accessory collection. 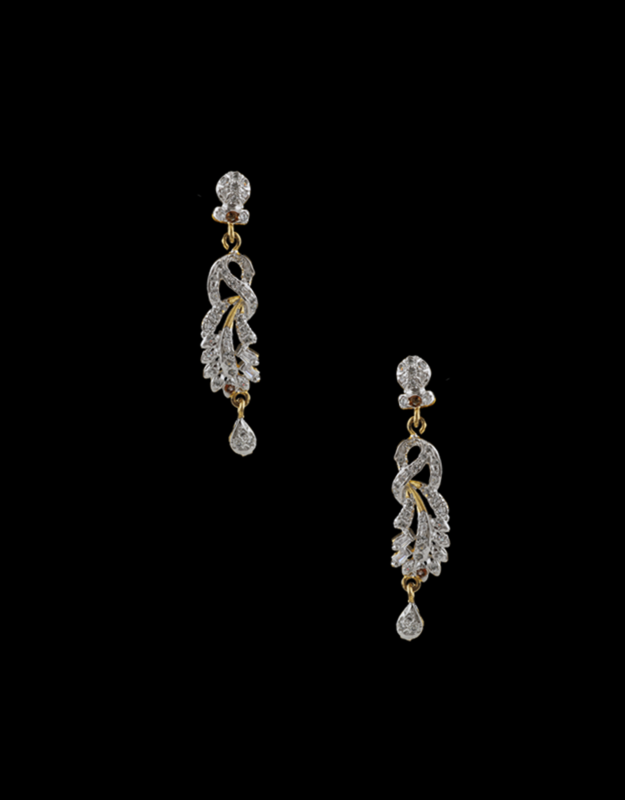 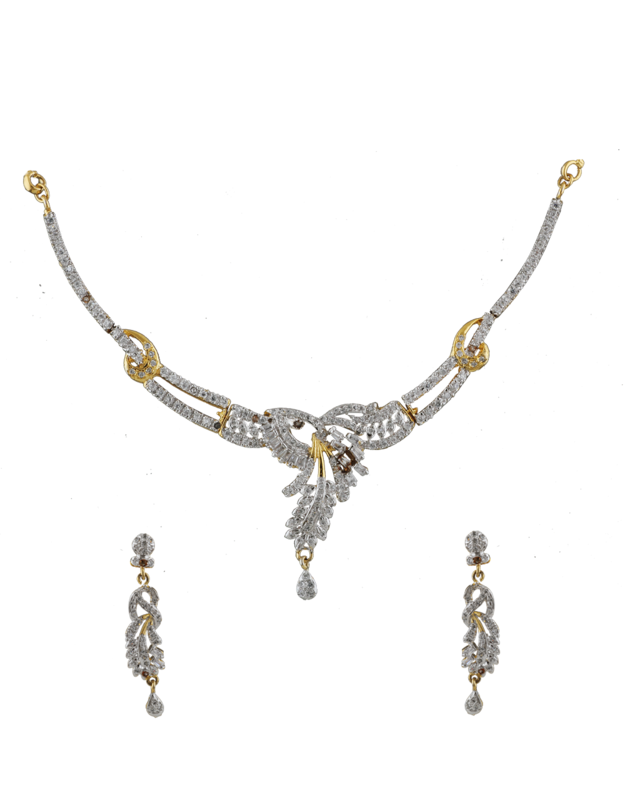 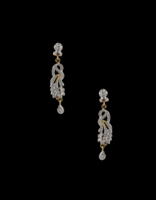 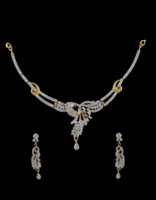 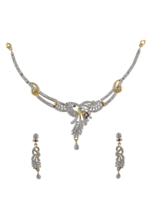 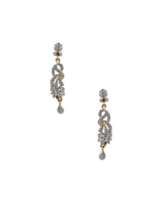 This set will add a dash of glamour and flash to your appearance. 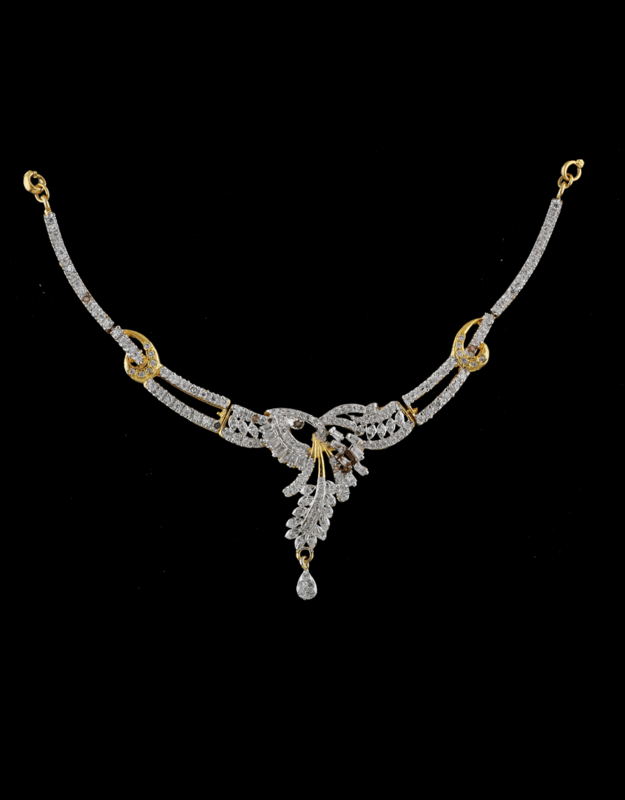 It is perfectly studded with American diamonds. 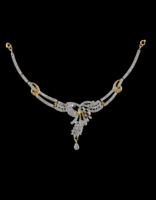 Fashioned from 40% silver &golden polished copper.